I had no idea, but I was positive it was going to be the best and worst thing that had ever happened to me. 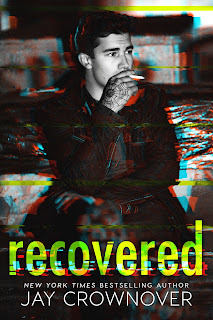 I've had quite a few favorites when it comes to Jay Crownover's books, but I must admit, there's something extraordinary about Recovered. It isn't as if this is her first new adult (NA) title, and it isn't as if I didn't read the story while it was being released in installments via Crownover's newsletter. Still, when I read Cable McCaffrey and Affton Reed's story once again--this time in one go--the experience was different. The anticipation was still there as to what would happen to Cable in terms of his sobriety, to Affton in terms of her going to Berkley, and to them as a couple and if there was any future to be had. However, there was also more of an intensity this time around, almost as if I couldn't stop myself from flipping one page to the next, taking no breaks at all in between chapters. As weird as it may sound, I was even more invested in these two and their story. But this IS a Jay Crownover book, so I shouldn't really be all that surprised that this affects me as much as it does even though you'd think it shouldn't considering I should already know Cable and Affton's story by now. It's simply THAT good of a love story. Cable McCaffrey and Affton Reed went to the same high school, with Cable being a year ahead of Affton. He was the untouchable junior with an addiction problem that no one seemed to like but everyone made nice with, and she was the untouched sophomore who called him out on his addiction. What she did may make her seem as if she cared, but when it comes to Cable, any positive feelings can quickly go to the wayside when he isn't all that receptive to her kind gesture, and just that quickly, Affton finds herself hating the guy. When Affton takes things one step further, the wheels are set into motion and it culminates into what's later called "the incident". More than a year and a half later, Cable and Affton see each other again, and it's clear that her empathy turned into apathy. Unfortunately, Affton is left with no other choice but to become Cable's babysitter over the summer right before she heads to California for college. But as much as she tries to maintain both her disdain and her distance, Affton can't seem to help making sure he'll be okay. The question is, will she recover from her summer with Cable? Learn more about Jay Crownover. 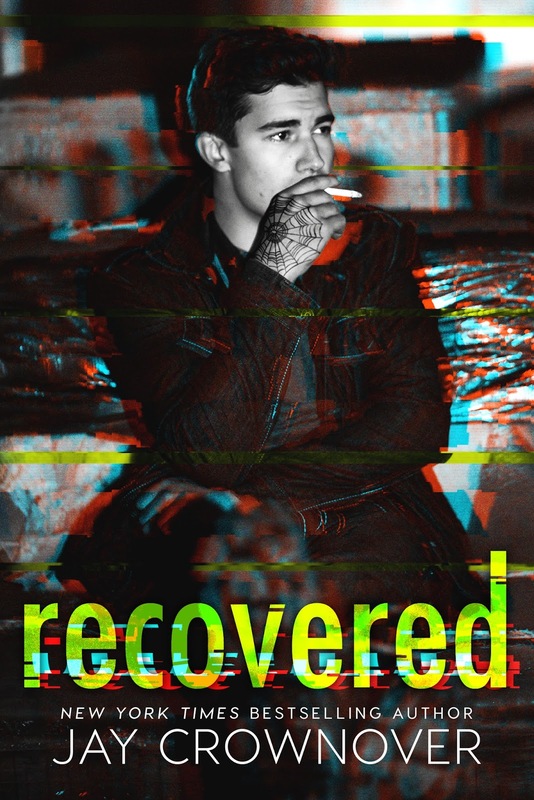 Purchase Recovered on Amazon | B&N | iBooks | Kobo.